Over the centuries, many diverse peoples settled in the mountainous region known as the Caucasus. 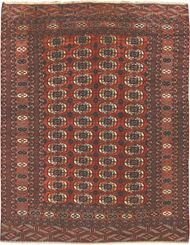 South of the majestic Caucasus mountains, between the Caspian and Black Sea, magnificent yet humble rugs were woven in the towns, valleys and slopes of the mountain villages. 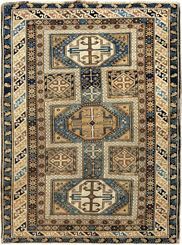 Widely known for their bright colors and bold designs, Caucasian rugs have long been appreciated in America and Europe. Designs are usually stylized geometric interpretations of floral patterns and other elements of nature. Most where made in smaller to medium sizes. Karabaugh is a mountainous region just north of the Persian border and was also once part of the Persian Safavid Empire’s province of Azerbaijan (1502-1736). 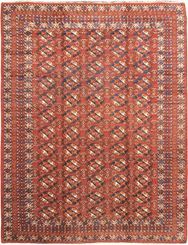 A wide diversity of influences including those of Persia, Central Asia, Europe, Russia and America are reflected in the designs and weavings of these rugs and carpets that were geared more towards the decorative market. 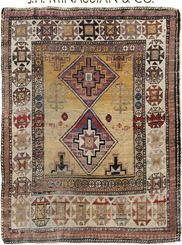 From the early 1800’s Armenians, Turks and Kurds produced most of these rugs with many bearing inscriptions of Armenian origin. Designs range from geometric to floral and where usually made in gallery sizes. ANTIQUE BOKARA 8' 0" x 10' 0"
ANTIQUE BOKARA 7' 6" x 9' 8"
ANTIQUE KARABAUGH 7' 0" x 18' 0"
ANTIQUE KARABAUGH 6' 9" x 18' 2"
ANTIQUE KARABAUGH 6' 8" x 17' 5"
ANTIQUE KARABAUGH 5' 2" x 15' 8"
ANTIQUE KARABAUGH 5' 0" x 10' 0"
ANTIQUE KARABAUGH 4'10" x 12'7"
ANTIQUE CAUCASIAN 4' 9" x 7' 9"
ANTIQUE CAUCASIAN 4' 7" x 12' 8"
ANTIQUE KARABAUGH 4' 6" x 9' 0"
OLD KARABAUGH 4' 4" x 12' 7"
ANTIQUE CAUCASIAN 4' 3" x 9' 3"
ANTIQUE CAUCASIAN 4' 2" x 12' 0"
ANTIQUE KARABAUGH 4' 1" x 9' 4"
ANTIQUE KARABAUGH 4' 0" x 12' 9"
ANTIQUE CAUCASIAN 4' 0" x 9' 3"
ANTIQUE CAUCASIAN 4' 0" x 5' 0"
ANTIQUE CAUCASIAN 4' 0" x 10' 4"
ANTIQUE CAUCASIAN 3' 10" x 5' 1"
ANTIQUE CAUCASIAN 3' 9" x 9' 0"
ANTIQUE CAUCASIAN 3' 8" x 9' 6"
ANTIQUE CAUCASIAN 3' 7" x 5' 0"
ANTIQUE KARABAUGH 3' 7" x 9' 4"
ANTIQUE KARABAUGH 3'7" X 11'9"
ANTIQUE CAUCASIAN 3' 4" x 10' 9"
ANTIQUE CAUCASIAN 3' 4" x 7' 8"
ANTIQUE CAUCASIAN 3' 3" x 10' 7"
ANTIQUE CAUCASIAN 3' 2" x 4' 6"
ANTIQUE KARABAUGH 3' 2" x 9' 4"
ANTIQUE CAUCASIAN 3' 1" x 4' 6"